"Dr. Heather and her staff are the BEST! So nice to find a dentist you can trust!" At our practice, we believe in Changing Lives! Our goal is to positively impact the lives of every person that we are lucky enough to cross paths with. We take, very seriously, the trust that is given to us by the patients we have the privilege to serve. We believe that, given the opportunity, we will impact your life for the better. The care we provide will always be the best for your individual needs with the focus on achieving total health & wellness to create a smile that is uniquely yours. Every member of our practice, from our doctors to our dental team to our patients, is our family. We will always create an unmatched dental experience that you will not find anywhere else, while having a lot of fun in the process! 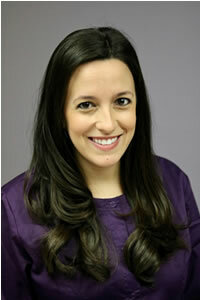 Dr. Heather and Dr. Maltese are Family and Cosmetic Dentists in Shelby Township, Michigan. They are fully committed to help you look and feel your very best by providing the highest quality and ethical care in a knowledgeable, caring and gentle manner. What do you value most in a dentist and dental team? What is most important to you about your teeth and smile? What is most important to you about how we structure your financial investment in your Optimal Oral Health Care? Our Shelby Twp. dental office provides a full range of COSMETIC and FAMILY DENTISTRY services for all ages. Whether your needs are complex or routine, we look forward to caring for you. Dr. Heather and Dr. Maltese gladly welcomes all new patients. We offer convenient scheduling options including evening and Saturday appointments to accommodate your busy schedule. Call today to schedule a consultation and begin your journey to create the smile that you have always dreamed you should have. Looking For A Dental Home In Shelby Township? 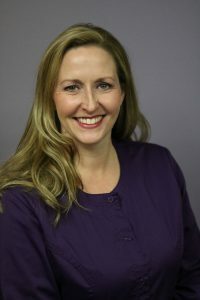 Dr. Heather grew up in Sterling Heights and graduated from Adlai Stevenson High School. She attended Oakland University and was accepted into the University of Detroit Mercy School of Dentistry after only 3 years of undergraduate work. Dr. Michelle Maltese grew up right here in Shelby Township, MI. After graduating from Notre Dame Preparatory High School, she obtained her Bachelor of Science degree from the University of Detroit Mercy as part of their 7 year Accelerated Dental Program. At HPS Dental we offer free WiFi, and essential oils to help our patients relax during their reservations. Essential oils are available for purchase.